Last week I did a little post on how to work the top-to-toe lace trend in an attempt to coax myself into making a purchase on this lovely Topshop skirt (based on Burberry's amazing runway show for SS14 last year). It got me thinking about how useful a lace skirt could be, especially after doing a little spy on Pinterest for outfit ideas. That followed on to a little edit of the best on the market at the moment (although clear favourites for me are a pink River Island one as worn above and the mint green Zara one below). 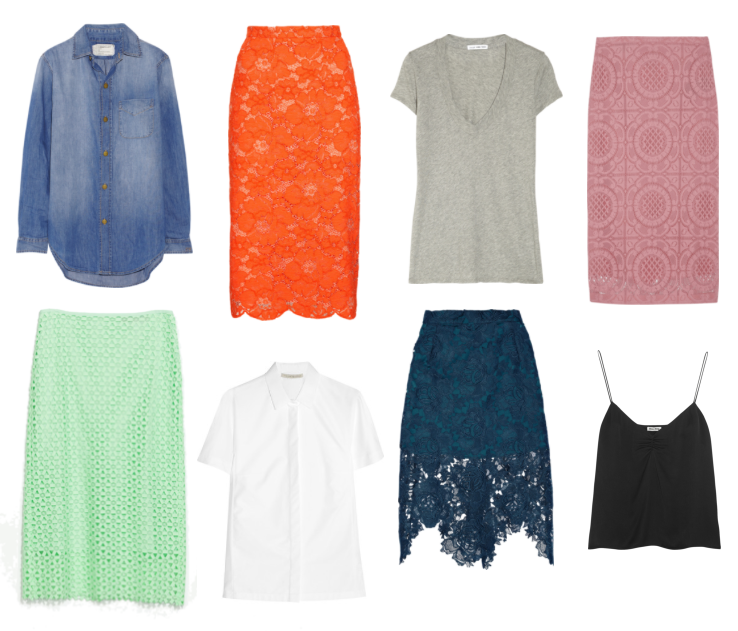 So, a lace pencil skirt might not be such a daft purchase after all... What do you think? OH MY GOSH! I am swooning over this post. 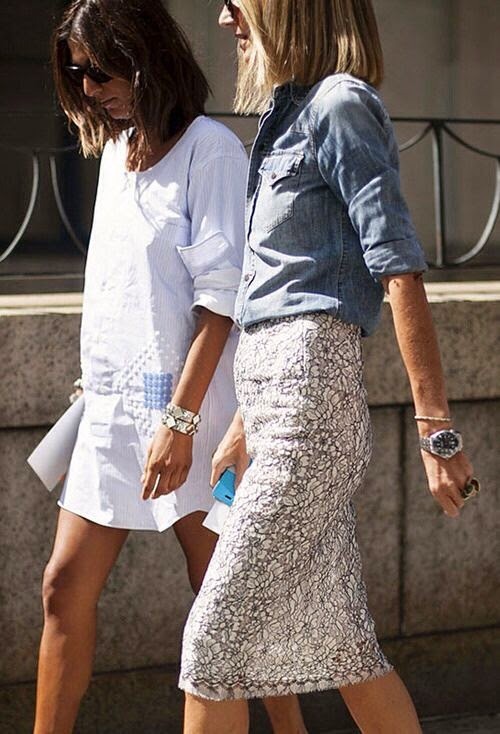 I love love love the pencil skirt trend, especially in lace. Perfect array of photos! I love skirts, I love pencil skirts and I adore lace so I guess I'll have to go buy a lace skirt now. Thanks for the tips, the skirts are gorgeous. love it! Karla Spetic and Lover the Label also make some gorgeous ones!